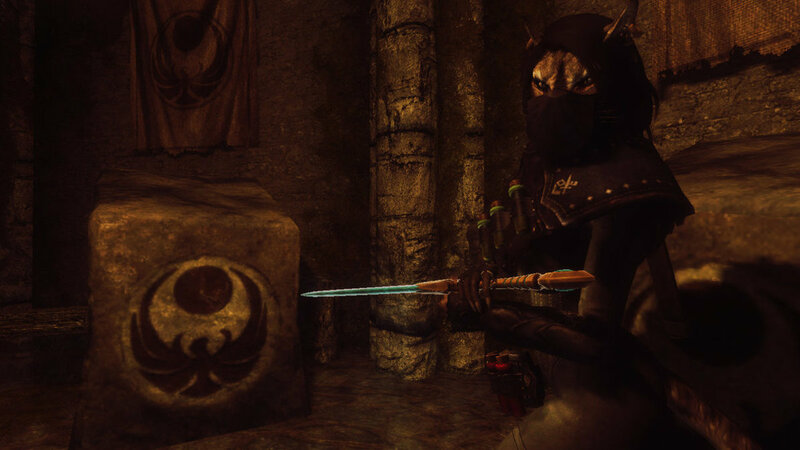 As the most viable unarmed options in the game, Khajiit’s naturally have claws that do 15 points of unarmed damage. There’s a perk in the Heavy Armor tree that’s only use is to help out people who want to go on this build-path – Fists of Steel (Heavy Armor 30). The perk makes unarmed attacks with Heavy Armor gauntlets do their armor rating in damage, which stacks with the base 15 damage for khajiits. Since you won’t have to invest in any other weapon perk trees, invest in Smithing so you can make the best gauntlets you can, as well as Enchanting, to add unarmed bonuses to those gauntlets. You’ll also have very high armor ratings, so you won’t have to worry about healing very much. This build is for those who want to never take damage. The main perk to get is Assassin’s Blade (Sneak 50), which adds 15x sneak damage with daggers. FIFTEEN times damage is nothing to scoff at. And combining that with Shadow Warrior (Sneak 100), which stops combat whenever you crouch, for even more sneak attacks, is just ridiculous. This build can even be played without fully relying on the sneak aspect – with the Elemental Fury Dragon Shout (at max level, it DOUBLES your weapon attack speed), you’ll have probably killed everything before the 15 second time limit on the shout has passed. Add on some of the most awesome finishing-blow-cams in the game and you’ve got one of the most powerful melee builds in the game. 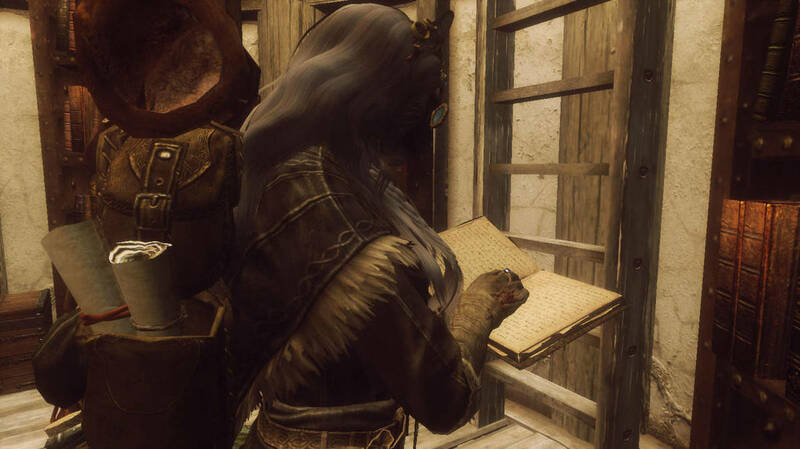 My personal favorite, the conjuration archer build is, in my opinion, the perfect mix of not taking damage while dealing lots of it – low risk and high reward. The build revolves around the Bound Bow skill (Conjuration 50), which you can buy from Farengar in Dragonsreach. 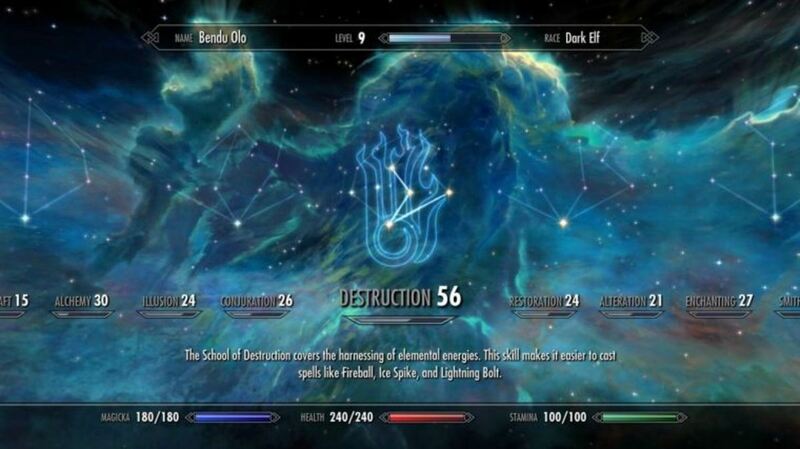 This spell basically gives you unlimited arrows, along with damage modifiers from both the Archery and Conjuration skill trees (The higher the conjuration level, the stronger the bow. And your archery perks all apply). The conjuration tree also conveniently gives you some of the best tanks in the game – Antronachs. With the spell Flame/Frost/Storm Thrall, you can permanently (until it dies) an antronach, and coupled with Twin Souls (Conjuration 100), you can summon two at a time. 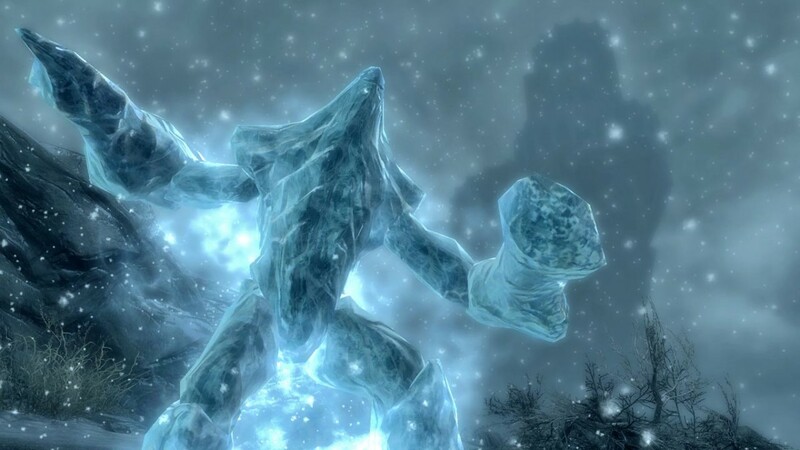 To get the spell, have level 90 Conjuration, and go to Phinis Gestor in the College of Winterhold. The strategy behind this build is self-explanatory, and oh so fun. Read over them and think the unarmed is an awesome build gonna give it a shot thanks for the advice. "you can permanently (until it dies) an antronach"
100 blocking and your enemies won't be able to stand your op awesomeness. I have four different characters that maybe aren't quite unique but that make the game fun in their own way. 1 - Orc Tank - Specialized in heavy armor, two-handed (warhammers to be specific, since they deal the most damage), and smithing. 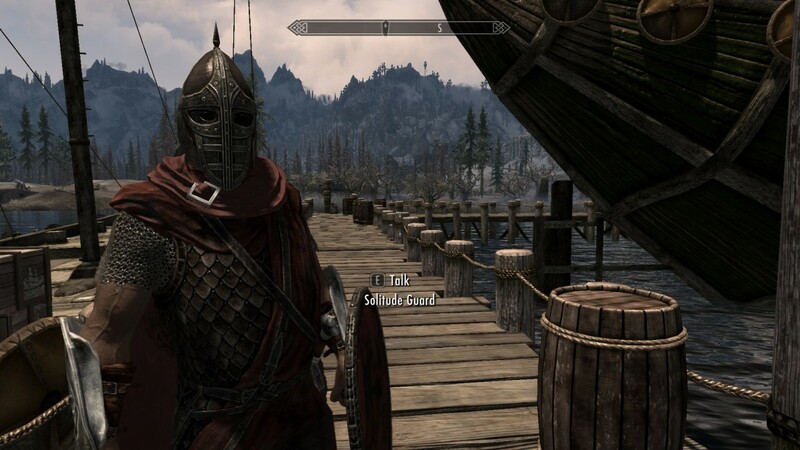 By the time you get to Daedric weapons and Dragonplate armor, there isn't a single thing that can challenge you. Perhaps not as fun/challenging, but it's always nice to be able to be a juggernaut when you feel like it. 2 - Dark Elf Assassin - Specialized in sneak, archery, and light armor. Makes the Thieves Guild/Dark Brotherhood questlines a bit more interesting. 3 - Nord Warrior - Specialized in heavy armor, one handed, and block. I never really liked using a shield until I made a concerted effort to get good at it. There's nothing quite a satisfying as being able to disarm an enemy and have enough time to laugh at them as they try to punch you in Stalhrim armor before you hack them to pieces with a war axe. 4 - Altmer Wizard - I intended to make a necromancer, but chose to go down the atronauch path instead of zombies, as there aren't always dead bodies to resurrect. Specialized in conjuration, alteration, and destruction (lightning focus, to aid in fighting other mages). This is what I'm working on right now, and I've found it to be the most difficult yet since I'm not using any armor other than that offered by alteration spells. Another great build is the Silver tounged puppet master or the NO COMBAT/Limited combat build. Since Morrowind had to deal with worse hardware in the Xbox 1, its graphics and animations are nowhere near as good obviously. 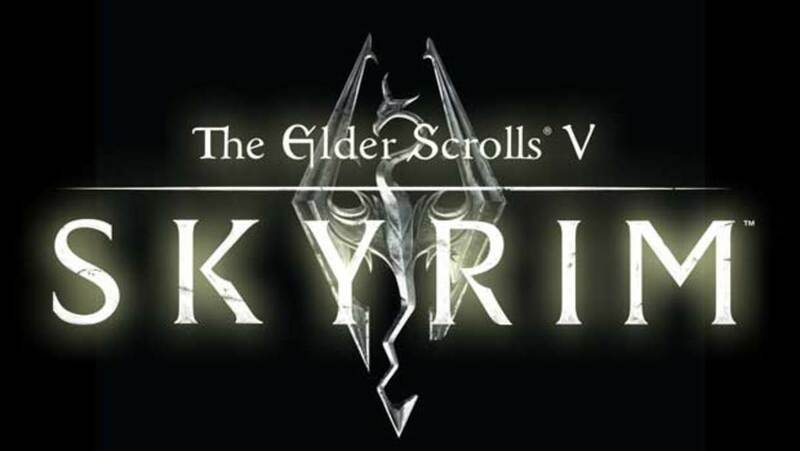 But that game had a story which was much more enthralling and epic in scope than both oblivion and skyrim. There was so much prophecy surrounding the main character in morrowind, and you were such a controversial figure in that land. 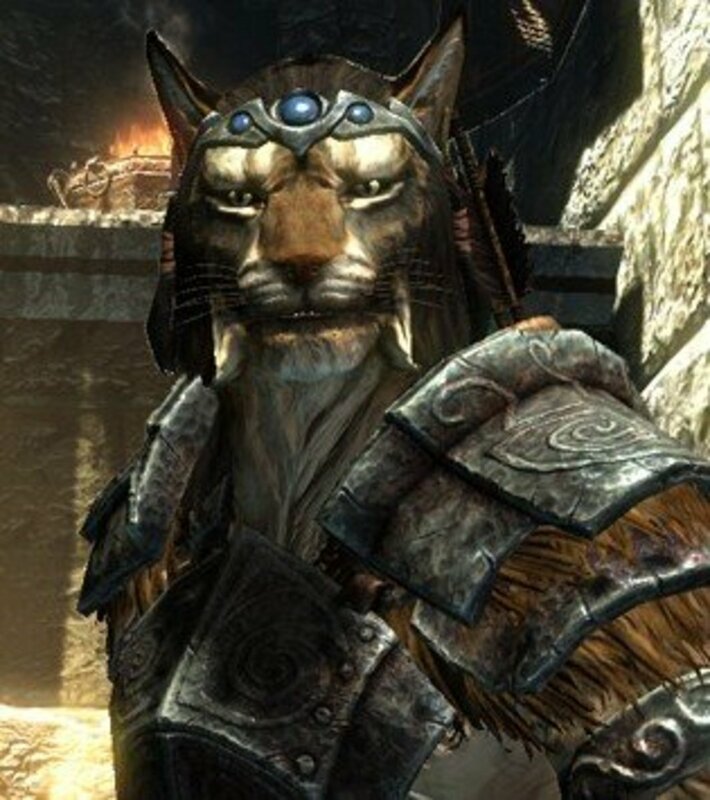 Having the main character be dragon born in skyrim was kinda like that but the Nerevarine was way cooler. Also enchanted weapons that recharge themselves over time was a nice game mechanic as well as the fact that you needed special armor to wield some enchanted weapons since they were too freaking epic. Ttocs dude, you are awesome.You gave me so many ideas on how to create an awesome character that suites me and my style of play. Thanks. What other skills can I get besides conjur and archer like could I add destruction and maybe even one handed and just be everything and be able to conjur all my weapons? 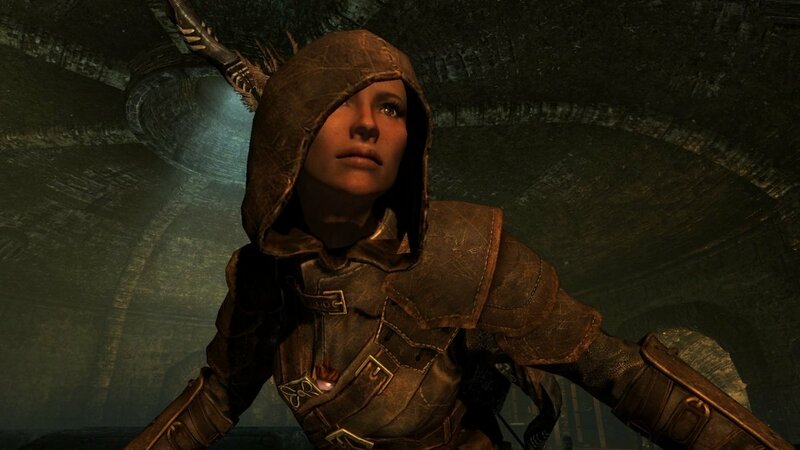 The Assassin's Creed Dovahkiin is very close as a concept to what I am playing right now. 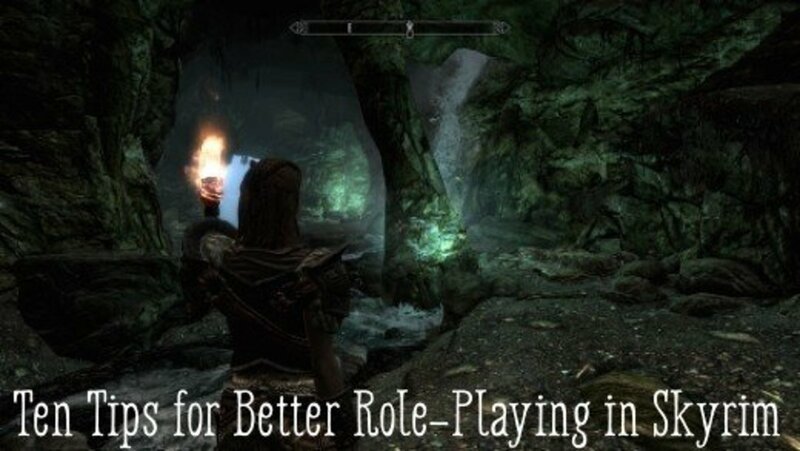 In addition to what you mentioned, I can recommend a combination of 5/5 Armsman for 100% extra dagger damage (dual Flurry and Savagery for dual speed and damage are optional), and a double backstab damage enchantment on the gauntlets (like the assassin gloves), plus one handed fortify enchantments and legendary daedric daggers. Breton, 25 starting conjuration and 25% resist to magic. Also you can get the bound bow at Fort amol early in game. It's in the prison section in a bucket under a lantern. Nice build ideas, and names! I love watching my minions pillage, but the dual daggers build sounds fun too. Best archer is wood elf with max bow, max smithing, max enchant. Best bow with best fire/frost etc enchants, with +% bow damage enchants to as many items wearing. Good luck on the build, Jpeezy, hope you enjoy it!